Irish actor Cillian Murphy has starred in numerous award-winning roles over the years; spanning the mediums of film, theatre and television. Murphy made his stage breakthrough in Enda Walsh’s ‘Disco Pigs’; the special collaboration has also resulted in 2012’s one-man show ‘Misterman’ and 2014’s ‘Ballyturk’. Upcoming acting roles include: Ron Howard’s ‘In the Heart of the Sea’ (December 2015); Ben Wheatley’s ‘Free Fire’; the Sean Ellis-directed ‘Anthropoid’ and the hugely anticipated third season of the Steven Knight-penned BBC gangster drama ‘Peaky Blinders’. 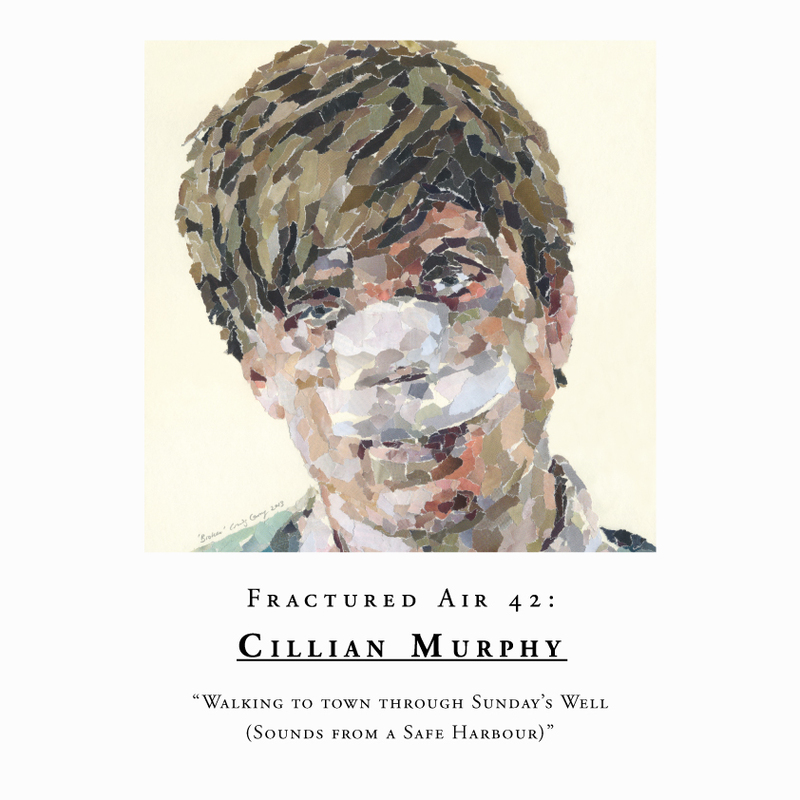 “Walking to town through Sunday’s Well (sounds from a safe harbour)” is a mixtape compiled by the Cork-born actor to coincide with the inaugural Sounds From A Safe Harbour Festival, curated by The National’s Bryce Dessner and programmed by Cork Opera House, which takes place across various venues in Cork City from 17–20 September 2015. “The tunes work vaguely chronologically and run from when I lived in Sunday’s Well in Cork in around 1996, what I was listening to and discovering around then and then develop into stuff I’m into at the moment. I also tried to make it feel like a journey from one destination to another. Tried, Ha! For example, my wife used to listen to this classic Laurie Anderson tune all the time back then and I thought it was completely bonkers – but now almost 20 years later I have grown to love it. It was such a time for dance music, DJ Shadow blew us all away when we heard him for the first time, but at the same time I discovered Jeff Buckley, was still in love with the Traveling Wilburys and was obsessed with Stevie wonder – it’s all in there. Some of the contemporary tunes are meant to reflect back on those times I suppose.